Phagocytosis of a yeast spore. 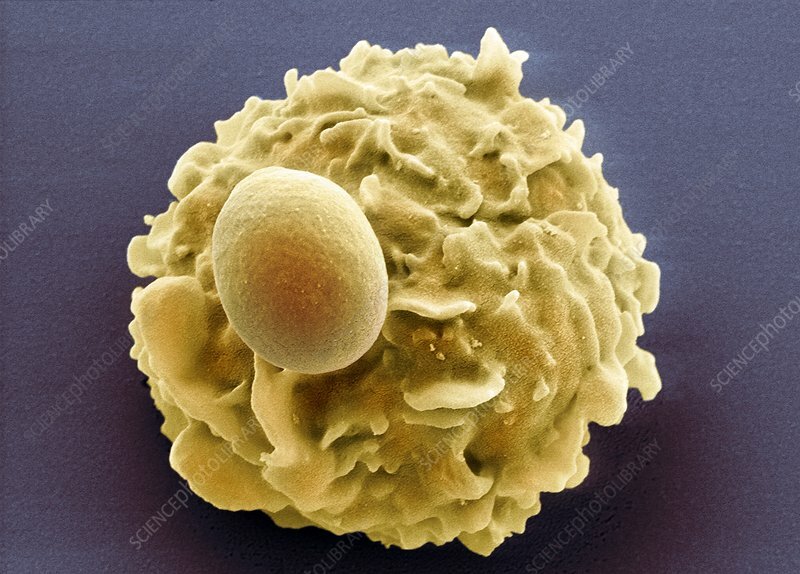 Coloured scanning electron micrograph (SEM) of a neutrophil (large yellow body) phagocytosing (engulfing and destroying) a spore from the yeast Candida albicans (small orange sphere). Neutrophils are the most abundant white blood cell and are part of the body's immune system. Candida albicans is a fungus commonly found on human skin and mucous membranes. However, it can cause infections, such as thrush or nappy rash, in those with weakened immune defences.